Sick children being cared for at Hull Women and Children’s Hospital are set to benefit from a major donation of Lego. 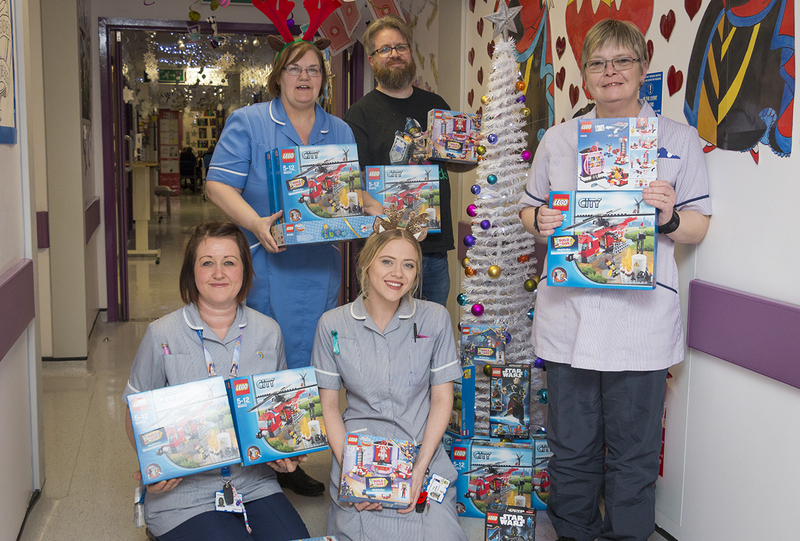 Charity Fairy Bricks, which aims to donate Lego worth £7,500 to children’s wards and children’s hospices every month, has donated 30 sets to the hospital’s Acorn Ward. Sean O’Donnell, a member of the charity who is also works as a staff nurse at Castle Hill Hospital, donated the Lego to staff on the ward as part of a major giveaway by the charity. Mr O’Donnell travelled to Diana, Princess of Wales and Scunthorpe General Hospital on his day off with wife Sally to hand over the sets. He said: “Lego has given the charity 20,000 sets to be given away to children’s hosptials throughout the UK this Christmas. Ward sister Joanne O’Connor said the donation would be gratefully received by the play specialists working with the children currently receiving treatment on the ward. She said: “We’re very pleased Fairy Bricks has included us in their giveaway and we’d like to thank everyone involved for their generosity.